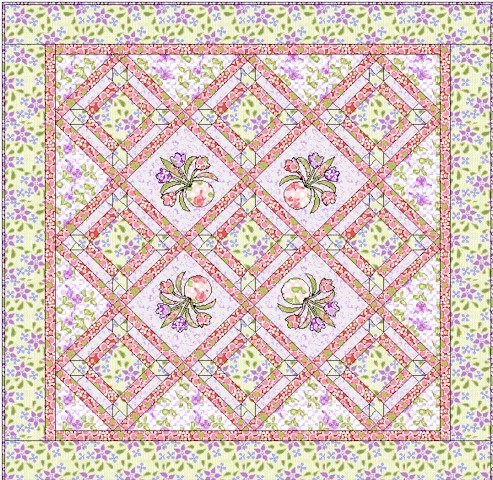 This entry was posted in Quilt Pattern, Quilting, Quilts & Projects: Published, Quilts: Pieced & Applique and tagged Amy's Quilt Festival, Free-motion quilting, Pieced and Applique Quilt, Quilting, Quilting on Home Machine, Spring Quilt Design, The Quilter July 2010 Issue, Tulip Quilt, Wendy Sheppard Design. Bookmark the permalink. Wendy thats a beautiful quilt. 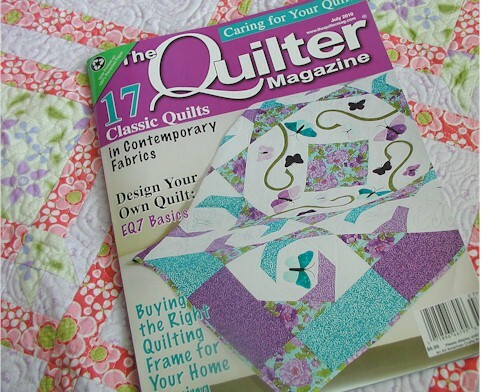 Quilting as always is fantastic, as is your photography. I really do love the colours that go into your quilts . Great work! I love the little suprise of ribbon bows tied to the bouquets! Yes, it is very sweet! Stunning! I do love the color combination! That is a very sweet design and color combination! Congrats on another nice magazine feature! What a lovely quilt and the quilting is beautiful. You are a very good designer! Thank you for the close-ups! What a gorgeous quilt. Congratulations! I don’t know how you change to no reply but Sue (www.suedio.wordpress.com) has just done it and I am sure if you left her a comment, she would gladly tell you how to do it. Just tell her I sent you. This is absolutely beautiful…the quilting is amazing, you must be very patient. Wow…!! !Wendy but is ..beautiful! !I’m sure ..you have..magic hand!! How caould I say ??? FANTASTICO as we Italians say! Just Fantastic and so sweet !!! 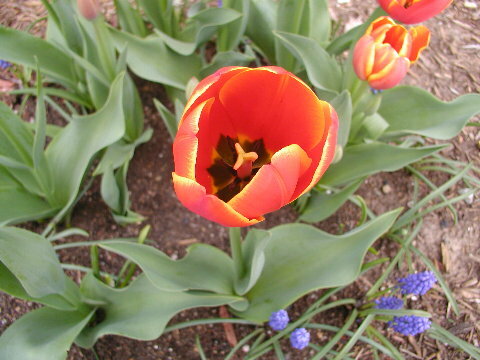 Really something gorgeous, Wendy ! Must come to Tx and get some classes from U !!! That’s a lovely quilt; I really like the fabric! Looks like another project for me! This is a darling quilt ! Keep creating , you do such an amazing job!!!!!! Congratulations and well done on another beautiful quilt!! WOW! This is very pretty! Thanks for sharing your life everyday. I’m so glad that we are still in touch .. :) now, i’m even more thankful for this “connection” that we have! :) i miss you alot! The quilt is beautiful. I love the bows on it. Oh Wendy that is absolutely gorgeous, I’m going to have to get that issue! I love it with the boots! The bows are the crowning touch! Love it — and absolutely love the rain boots picture! I just love this quilt! 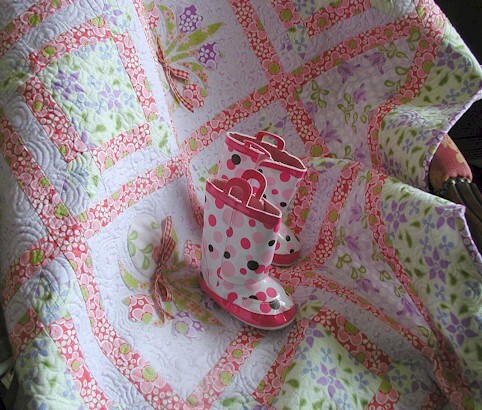 Cute photo with the little girls rain boots set onto the quilt. Beautiful quilt and beautiful work. I loved the little rain boots too. 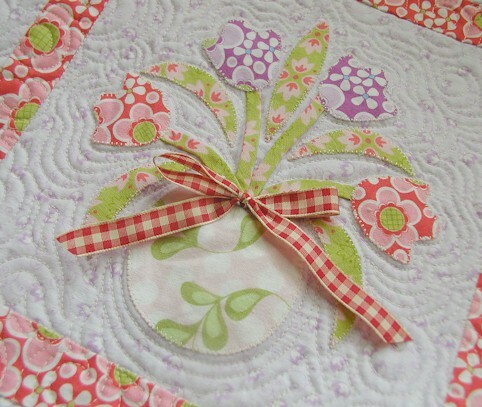 Pretty quilting, and I love the applique with the extra touch of the bows! Cute boots!! Oh my! but this is absolutely delectable. Everything about this quilt is beautiful!!! So, so pretty. These fabrics are delightful but it’s the way they’re all pulled together and worked with gentle stitches. Oh my! What a treat over morning coffee! 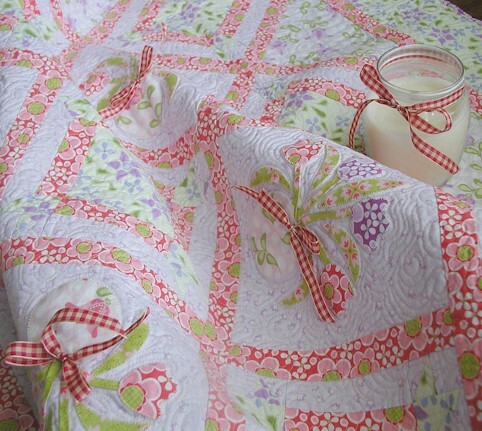 lovely colours and beautiful quilting. Your quilting is stunning, as always. I wish I had your skills. How do you do such beautiful work on your sewing machine? Do you have any tips you can share with your followers? The quilt is wonderful, and your quilting just blows me away, as usual! Hope you have a good weekend. Yes perfect submission for the Quilt Festival. The fabrics and colors are just so happy and cheerful! Have a great weekend Wendy! Okay quilt is TOTALLY awesome! You have convinced and completely inspired me to try appliques on my quilts :). Thanks for sharing and continue with the awesome art you do. Another beautiful quilt — don’t you ever make anything ugly? 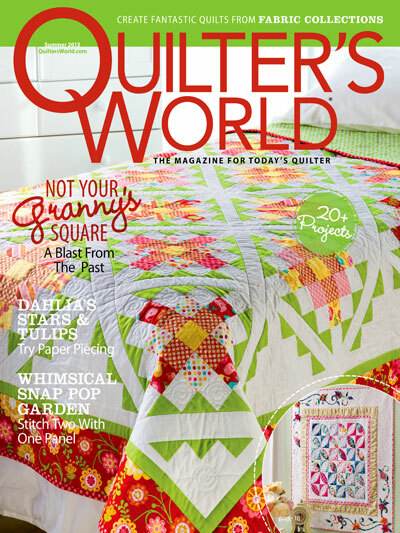 :-) I love your fabric/color combinations, and as usual your machine quilting is breathtaking. I’m intrigued by the wool batting and Aurafil thread. I have wanted to try a wool or silk batting, but would the finished quilt still be machine washable or would it have to be dry-clean only? 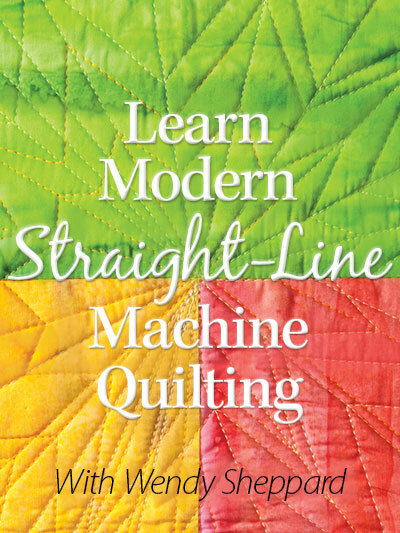 And is the Aurafil thread you’re using made specifically for machine quilting, or is it an all-purpose or embroidery thread? 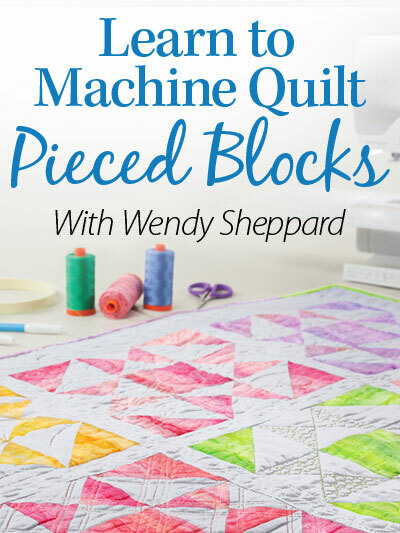 I used YLI machine quilting thread last time (for grid quilting with a walking foot and using the Keryn Emmerson digitized quilting designs with my embroidery module). What are the benefits you get from your thread and batting combo? By the way, you have inspired me — the BSR foot is attached to my machine and I’m going to sit down and practice with it TODAY as long as I manage to get my work done before the kids get home from school. …forgot to mention; I too am in love with the ribbon bows on your appliques. Absolutely perfect! Funny thing I thought I knew what I was talking about before seeing your site but it turns out I am a dum dum. On a scale going from 1 to 10. You’re an 11! I’m kind of bored to death at work so I made up my mind to browse your post on my iphone during first period break. I am just in absolute disbelief by what I’m seeing on your blog. How big is your team, if you don’t mind me inquiring. Are there other posts you work for? It’s beautiful! And I love the bows- what a great touch! I love how you quilted it! Bows and flowers, how can you go wrong? It’s beautiful. What a beautiful quilt. I love the colors you used, and congrats on the magazine feature! Beautiful quilt it makes me think of cotton candy. A great quilt for the BQF. Wow, I met you a year ago at the first BQF! It’s a good event to bring quilters together. Such a sweet quilt! 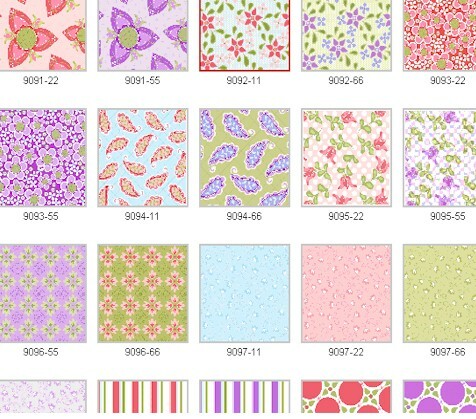 What pretty fabrics you used too! Wendy, I really like this quilt also. The fabric line is not really what I usually turn to but in that quilt it is great. I’m going to have to run out and purchase that magazine and the fabric so it is waiting when I finish some of my other projects. 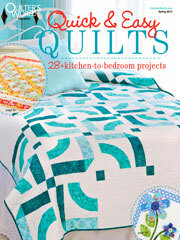 Thanks for such great quilts and a great web site. What a lovely quilt-it is like a breath of fresh air. Congrats on the publications. This is darling! You did an outstanding job on this with the ribbons and the detailed quilting. Thanks for sharing this one again. I love it. 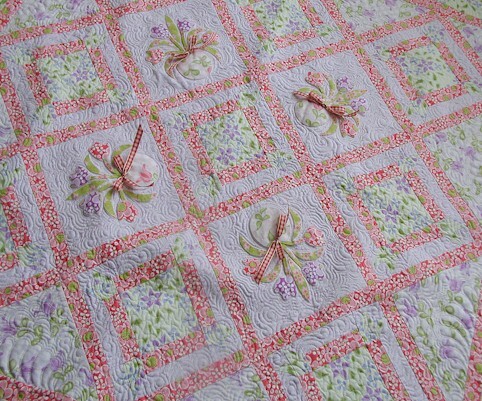 This quilt really does sing spring. That applique is just so precious. I love this quilt. You do such fabulous work. your quilt is so beautiful. 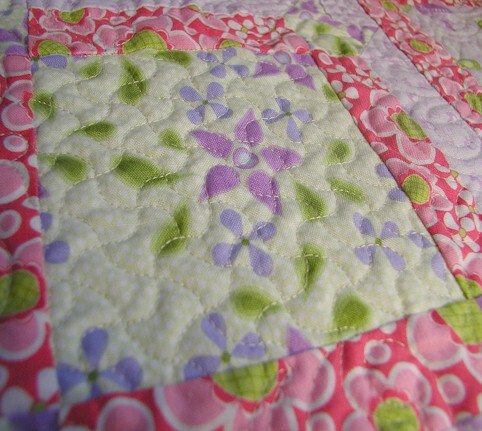 I specially like the echo quilting around the appliques. Just so sweet. 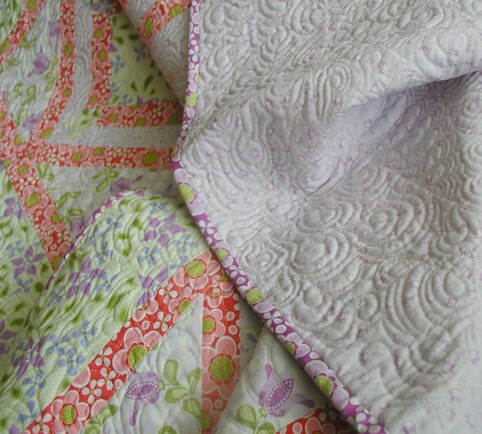 It is a gorgeous colour combo and that exquisite quilting just adds to much wonderful texture. Love the quilt. 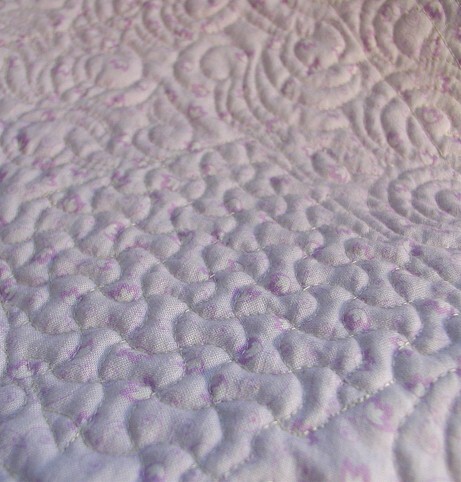 Thanks for sharing closeups of the quilting. Your Marabella quilt is amazing. AMAZING!!! Be. U. Ti. Ful!! That is a really beautiful quilt. 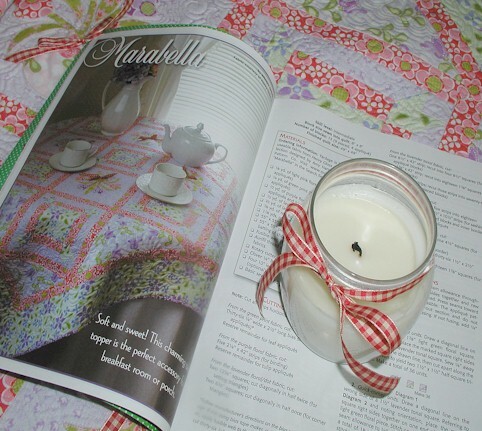 I love the little ribbon ties and the photography of your quilt is really well done, too! Beautiful. The fabrics and your quilting are divine. 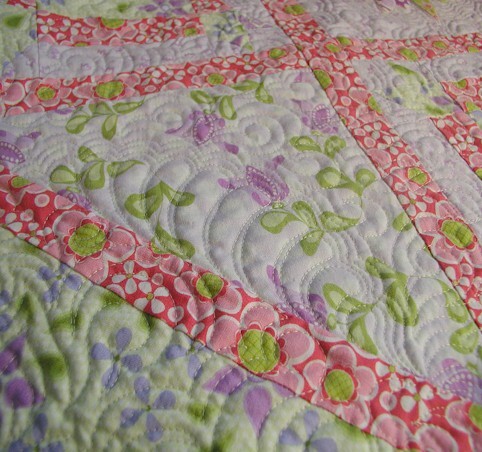 Love the quilt and LOVE the quilting…you can see my entry HERE. I came … and stayed awhile. Wow! Half the day is gone. Of course, I wandered into other realms also. Looking forward to making this quilt. It is fantastic. I totally adore that quilt! I love the color palette, what you did with the ribbons, the design, everything. 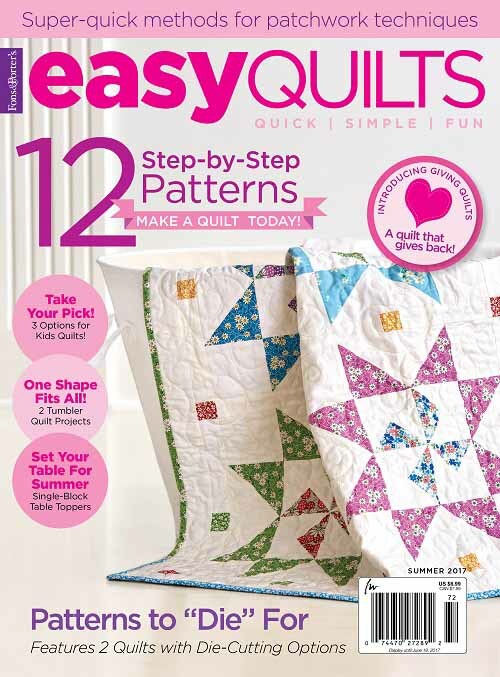 Wendy, I adore your little Spring quilt and must get the magazine for the pattern!! So sweet! You contacted me to be “friends” on facebook, but I somehow lost you in the fluff…I’ll try to pick you up again. Beautiful quilt! Your wonderful quilting inspires me to keep trying!! 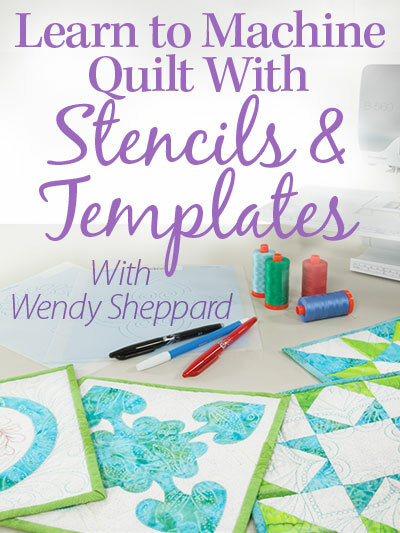 Wendy, I’m coming up for air, and oh, how I love this quilt! Just when I think I’ve seen my favorite, you show us something like this! It is GORGEOUS. I love the colors and the design. I’m amazed at how industrious you are. You have got to be the champion quilter of all time. How many hours does something like this take? I’m so impressed with your work, and you never cease to amaze me with your talents and how you use them. GREAT JOB! I really love your quilt. The colors and the applique blocks – especially the touch of the ribbon added. I don’t think you can go wrong with applique. So pretty! Love, love, love this quilt. Oh, it is stunning. The bows are the vases are such a great touch. Congrats on being published again. Oh, this is GORGEOUS! I think I might have already said it, but I’ll say it again, it’s GORGEOUS! Extraordinarily beautiful and inspirational! Thanks for posting and sharing your art!